Congrats to the Sr. Boys Basketball team on winning District Runner Up and moving on into the Regional Tournament. Keep it up boys!!! Bus will leave at 4:30 today for Sr. Girl's District Basketball Game. We will play at 7:00 vs. England in Carlisle. Congrats on the win last night vs. Maumelle Charter. Sr. Girls play in the District Tournament tonight at 7:00 in Carlisle. We play Maumelle Charter. The bus will leave at 5:00. 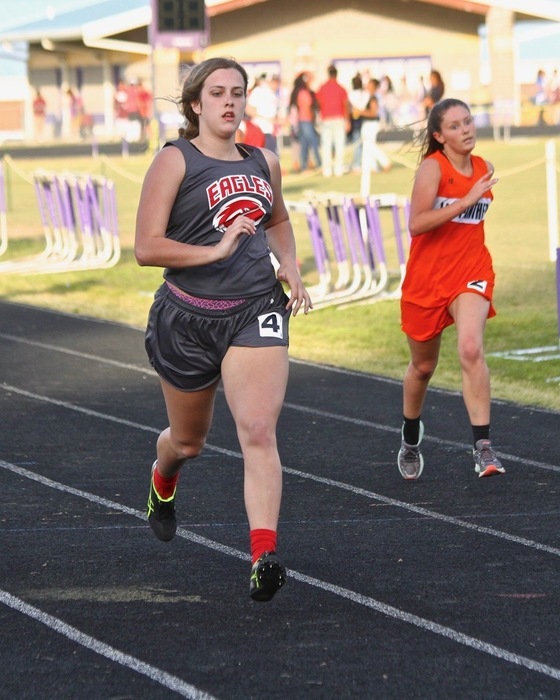 Track Uniforms need to be ordered soon. The uniform will be $25.00. Please send the money for your child by Friday of this week if possible. Thank you. Senior Night will be this Friday vs. Ft. Lake. Come out and support our seniors!!!! Games start 5:30. Faculty Appreciation Night will be this Friday during the home basketball game vs. Bigelow. Please come out and show your support for the CMS Faculty. Basketball and volleyball pictures will be the 30th at 1:00 with Phil Hobby. Coach Senn has picture forms. Basketball and Volleyball pictures will be January 25th at 1:00. Forms will be in the office soon. The first bus leaving for tonight's basketball games at Hazen will leave at 2:15. The 7th grade boys will play at 4:30. Followed by the Jr. Girls, Sr. Girls, and Sr. Boys. Basketball games tonight at England. Starting with 7th grade girls at 4:30, followed by Jr. Boys, Sr. Girls, and Sr. Boys. Go Eagles. CMS vs. Bigelow (1-8-19). Starting at 4:30 with 7th grade boys. 7B, JG, SG, SB. CMS vs. Hazen conference basketball games tonight. Starting with 7th grade girls at 4:30. Please come out and support ALL our teams. Go Eagles!!!! Basketball games tomorrow at Carlisle. The 7th grade boys will play first at 4:30, followed by the JG,SG and SB. Go Eagles!!! Basketball games at Magnet Cove tonight starting at 4:30. Come out and support our Eagles. Home Basketball Game tonight starting at 4:30 with 7G. The following teams will play tonight: 7G,7B,JG,JB. The Little Dribblers will be performing during half time of the JG game. See you all there!!! JG,JB,SG,SB play tonight at Benton Harmony Grove starting at 4:30. The bus will leave at 3:00. See you there!!! The Home basketball game for this Tuesday vs. Hazen is cancelled due to football playoffs. We will reschedule this game at a later date. Home Basketball Game Friday vs. England. Little Dribblers will be performing during half-time of the SG game. Games start at 4:30. Come out and show your support!!!! Little Dribblers will practice this Wednesday from 5:30-6:30. They will perform Friday night at the home basketball game during SG halftime. Sr. Girls Basketball will play Thursday in the Magnet Cove Tournament at 4:30. The Sr. Boys will play at 8:30 Thursday. Go Eagles!! Home basketball games tomorrow starting at 4:30. 7G,7B,JG,JB. Come Support our EAGLES!!! Little Dribblers will practice this Wednesday (11-7) at 5:30. We will perform Thursday (11-8) during the half-time of the Jr. High Girl's basketball game. Red and Black Home Basketball Game this Friday starting at 5:00 with 7th Grade Girls. $2.00 entry fee or donation. Come support our EAGLES. Little Dribblers will practice next Wednesday (11-7) at 5:30. They will perform Thursday (11-8) at the first home basketball game during the JG halftime. Invite the family and come out and support our EAGLES and EAGLETS!!! Little Dribblers fee is due. $35.00. Please see Coach Senn or Pam Jackson. Little Dribblers fee $35.00 is due. Please send to Coach Senn or Pam Jackson. Thank you. State Volleyball Tournament Send-Off tomorrow at 9:00. See you there. Black and Red Basketball Game Nov. 9th starting at 5:00. All teams will play. 7th grade, Junior High, and Sr. High. Entry fee is $2.00 or donation. Come out and support our Eagles. Jr High Football at Conway Christian on October 18 and at home vs Bigelow on October 25 will begin at 6:30. There will not be a 7th grade game either night. 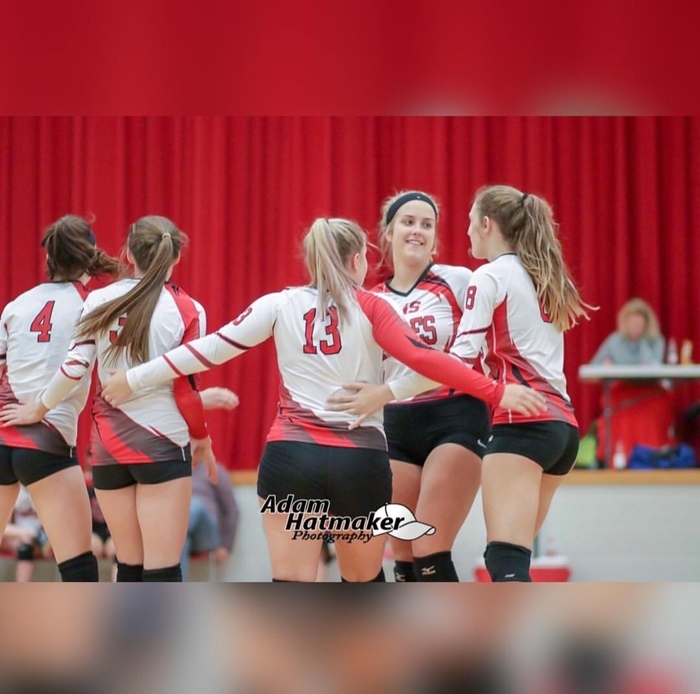 VB District Semi-Finals today at 6:30 at Conway St. Joe. The bus will leave at 3:30. The fan bus will be leaving at 4:30. Come support these ladies!!!! Go Lady Eagles. The VB bus will be leaving at 2:00 today for Quitman. Games start at 4:30 with 7th Grade. Jr High Football start time on October 11 has been moved to 6:30 from 7:00. There will not be a 7th grade game. Little Dribblers practice tonight at 5:30 in Multi. If you have not paid you can still come to the practice. Money will be due October 20th. See you there!!!! Little Dribblers 1st Practice this Wednesday (10-10) at 5:30 in the Multi Purpose Gym with Coach Demi Bratton and Coach Toby Senn. Practice will be from 5:30-6:30. $35.00. See Coach Senn for more information. VB games tonight at Home vs. Maumelle Charter starting at 4:30 with 7th grade girls. Congratulations VB on the win against Waldron!!! FCA Fields of Faith will be this Wednesday at Lakeside. The bus will leave Cutter at 5:00 and return around 9:00. See Coach Senn for more information and to sign up!!! Little Dribblers $35.00 (See Coach Senn) First practice will be this Wednesday at 5:30 in the Multi Purpose Gym. Please help us get the word out. The Varsity Volleyball team and I(Coach Senn) would like to say thank you to all the fans and the student section for coming to the game last night!!! We appreciate your support and look forward to seeing you again as we continue into District Tournament and State. Home VB games tonight starting at 4:00 vs. Conway Christian. We will have a Student Section tonight. Theme will be red and black. BIG GAME TONIGHT!!!! There will not be a 7th Grade game tomorrow (October 4 at Poyen) and Jr High game will begin at 6:00 and not 7:00. Please bring mosquito spray to game. They are bad due to all the rain, according to Poyen coaches. #GoEagles!! Volleyball game Thursday @ home vs. Conway Christian starting at 4:00. 7th Grade/ Junior high/Varsity. Volleyball Game tomorrow @ home vs. Quest. JV/V starting at 4:00. Monday's VB game at White Hall will be played at 4:30 starting with VARSITY due to their Homecoming. JV will play after Varsity. Go Eagles!!!! See You at The Pole tomorrow at 7:15. Followed by juice and donuts. Varsity Football Game vs Mt Pine will begin at 6:00 tonight. September 24. This is rescheduled from Friday night. Volleyball Games @ home Monday vs. Quitman. 7G/JG/V will play starting at 4:00. 7th Grade game at Mt Pine has been cancelled for September 20. We will play Jr High game at 6:00 instead of 7:00 on September 20. 7G/JH/JV/V will play at Maumelle Charter tomorrow starting at 4:00!!! Bus will leave at 2:15. Thanks. 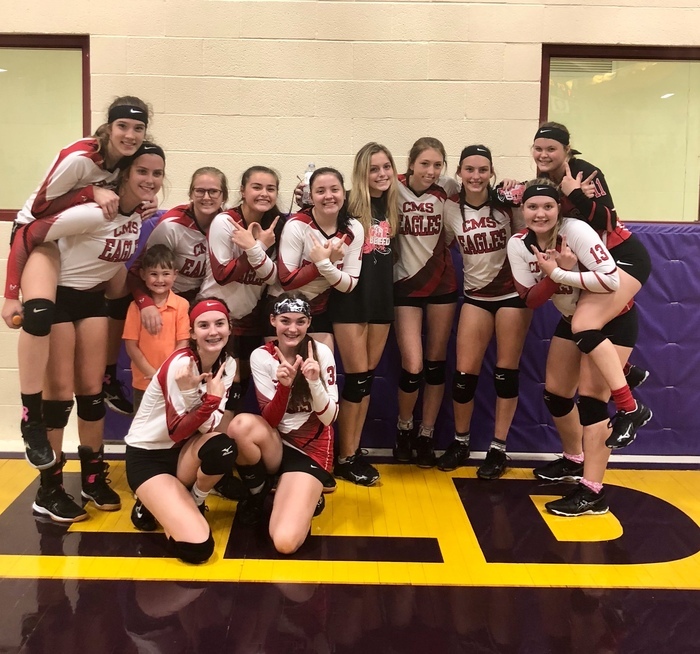 Congrats to the JV and V Volleyball teams last night for their win over Rose Bud 3-0. Keep it up!!!! JH/JV/V will leave today around 1:30 to go to Rose Bud for Volleyball games tonight starting at 4:30. 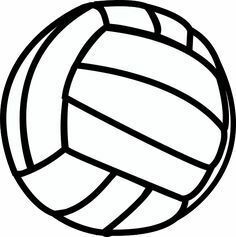 JH/JV/V Volleyball games tonight at Bauxite starting at 4:30. Go Lady Eagles. The bus will leave at 3:00. Congrats to the Varsity Lady Eagle Volleyball Team on their 3-1 win against Conway Christian.. Go Lady Eagles! FCA Eagle Wing Night (Sept.18th) Booth Information Girls please bring desserts (cookies, brownies, etc) Boys please bring can drinks for the ice chest Please bring these items to Coach Senn by Monday. No after school VB practice today. Varsity will practice tomorrow( Thursday 9-13) till 5:30. VB games tonight at Conway Christian. 7th Grade, Junior High Game, Varsity Game. 7th Grade game starts at 4:00. Bus will leave around 2:00. Varsity and JV Volleyball Black and Red Game Tuesday the 14th at 5:30. Volleyball parent meeting will be Monday (13th) at 5:30 in the multi-purpose building. DISTRICT TRACK Congratulations to our boys and girls Sr. High Track Teams. 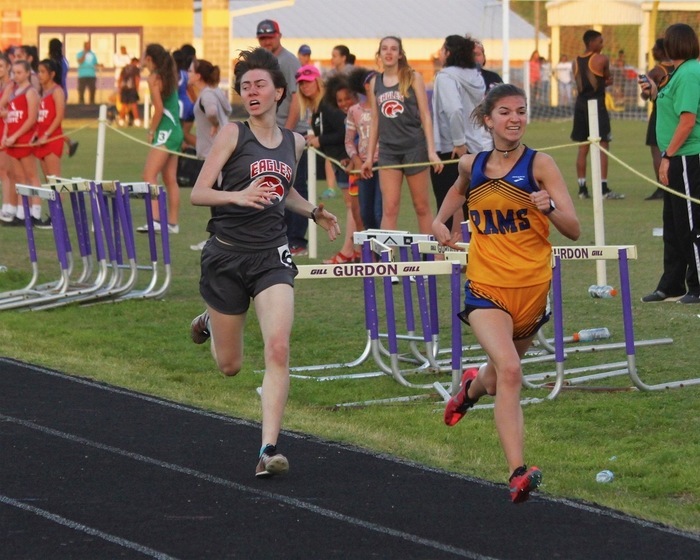 The following athletes have qualified for the State Track Meet this Wednesday: Grace Slick (800 District Champ) Ashten Mount (800 District Runner-up ) Ruth Tucker (3200 District Runner-Up) 4 x 400 Relay Team (District Runner-up) Kara Kinkaid Grace Slick Trinity Raper Brecken Knott-Debord Alternates: McKenna Knott-Debord Madison Bellomy ​4 x 800 (District Runner-up) Drake Pogue Jontae Babb Tyler Mace Dagan Rader Alternates: Shamus Mace and KeShawn Blevins​ Please tell these athletes GREAT JOB!!!! I had numerous coaches and numerous fans from other schools come to me at the meet telling me how they have enjoyed watching Cutter compete this year at track. They always mentioned how our kids seem close and really support one another. Go EAGLES!!!! Jr girls track team 4th in District.